Synopsis: Nice place they got here. Yawn. I pretend not to care. Yet — I sneak a peek. 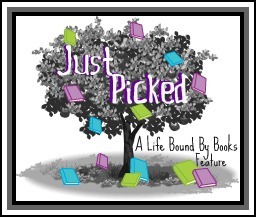 So begins this beguiling tale of a wary shelter cat and the boy who takes him home. Sometimes funny, sometimes touching, this adoption story, told entirely in haiku, is unforgettable. Review: 4 Stars - Won-Ton, a picture book by author Lee Wardlaw, tells the tale (or tail, lol) of a cat being welcomed into a new home… told in Haiku. The Illustrations by Eugene Yelchin were cute and fit right along with the story. And being written totally in Haiku makes this book and story completely unique. How Wardlaw was able to write the story in such a manner was genius. With just a few well placed words on each page, the story unfolds and a cat and a little boy become friends. It has a message that fits into today’s world, with the need to find more homes for animals in shelters. 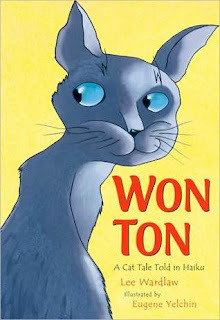 Won-Ton is such a great book, great message and cute story that was a pleasure to read and share with my niece and nephews. I featured this on my blog several months ago when it was first released. I thought it was a fun read. Thanks for sharing it.